The WordWise Blog: LET'S BE HONEST. The book business is changing. If you have a pulse and possess the skill to read this sentence, you’re probably not surprised to hear that. But the one part that amuses me more than anything, is the vocabulary. Words that meant one thing for a century or more, now mean something very different. Or at least, in the mind of some. This new nomenclature seems to be driven by self-proclaimed experts who truly believe they have figured out the new order of the publishing world. They have no use for an agent or a proofreader, no interest in real education, and they see a demon behind the door of every traditional publisher who won’t give away the store. But what true credentials do they have, such that anyone should look to them for such important advice? Hard to say. Did “indie authors” exist five years ago, by any definition? I don’t think so, and none of the industry professionals in my informal poll can recall ever hearing of such a title until very recently. 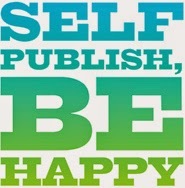 I can only imagine that “indie author” sounds slightly more dignified than “self-pub,” but are they really fooling anyone? I don’t know. Or how about a “bestseller?” I receive hundreds of queries each month, many from authors who claim “bestseller” status for their previous works. Should I be impressed? There was a time, not so long ago, that the designation indicated a true accomplishment. It meant that you had sold thousands of books, or tens of thousands, or more. If in fact you have done so, then kudos to you. (In fact, do give me a call.) But when I hear this claim, I always ask for details. And far more often than not, I end up disappointed because (for almost all of these authors) their special status exists only in the realm of Amazon. Why is this a problem? First, this index only counts books sold by Amazon; if your book sells a million copies anywhere else on the planet, it won't count. Second, the Amazon rankings are arranged in dozens of categories and sub-categories. And then they get broken down further according to hardback/paper/e-book/audio, etc. (One of these days, I fully expect to find a classification for steampunk e-book short stories by left-handed Latvian lesbians. Yeah, it’s like that.) Further, the rankings can shift every hour of every day, in each sub-grouping, according to a proprietary algorithm that’s unknown to anyone outside the Amazon IT department. Because of its huge influence, Amazon can manipulate the markets to its advantage. They continually extort deals from publishers, and block the sales of books from publishers who won't bend to their rules. If your publisher doesn't play nice with Amazon, your book could be delisted from the website until they do. You might have heard about the present scuffle with Hachette (better known as Grand Central and Little, Brown). The upshot of it all is this: Between two and three o’clock next Tuesday afternoon, your book might sell five copies of the paperback version. Which, for that brief fleeting moment in history, could mean that you beat out every other title in your narrow sub-category, including all volumes of the Wimpy Kid series. And for the rest of your life, you can claim the distinction of a “bestselling author.” Even though the Wimpies sold thousands more hardbacks in that same period, at double the price and royalty. Even if a hundred other books sold tons more through other vendors. And even if your book never sells a sixth copy. Didja get that? These rankings, which purport to show which books sold more copies than others, don't necessarily mean that one book sold more copies than another. You're not an "indie." You're not a "bestseller." You sold five copies of a book that never had to pass any test of quality; nothing more. You're not fooling anybody (or at least, anyone who matters), just by changing the definitions of words. Fine, call me a killjoy. But words are supposed to mean something; this is business, and your prospective publisher or agent will surely investigate every detail of every claim you make.